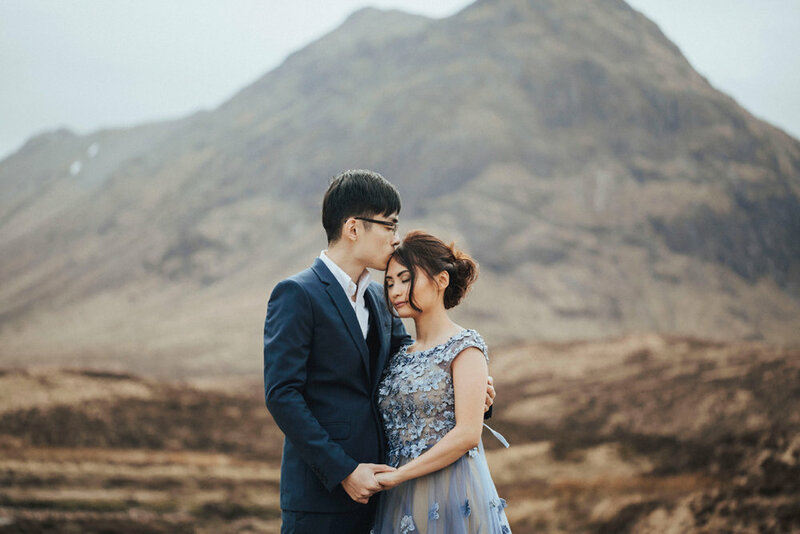 When Yee Wei and Yi Fei got in touch from Singapore looking to capture their engagement photographs in the Highlands of Scotland I jumped at the chance to photograph in this stunning landscape once again. We met up in Glencoe and spent a good part of the day wandering through the rugged mountains. 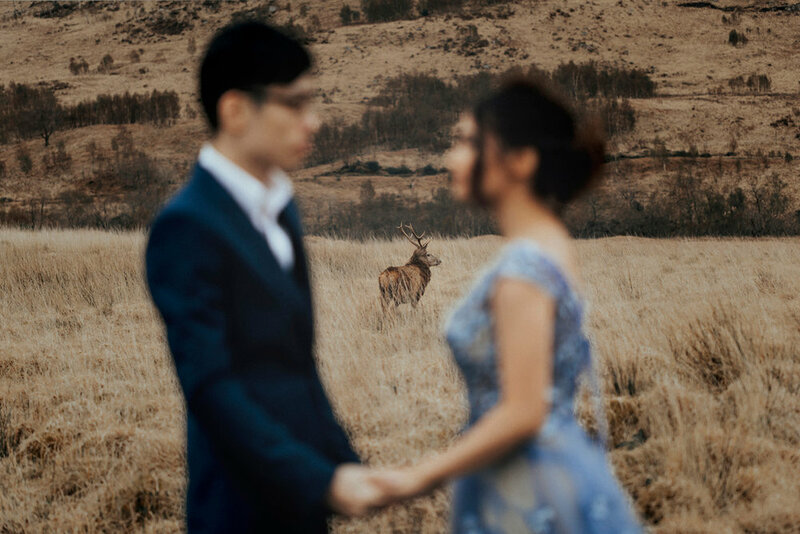 It's such an inspiring location to photograph in and leads to some absolutely gorgeous photographs. It was much colder than the warmth of Singapore (even though it was supposed to be the beginning of summer) buy they both took it in their stride and were up for exploring the landscape. 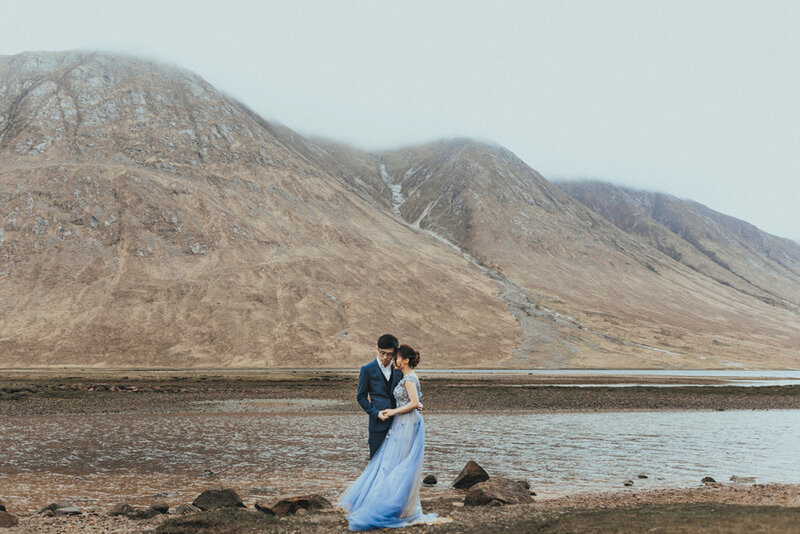 Just as we were nearer the end of the photo shoot the mist began rolling in, giving us that classic Scottish Highlands look. Can't wait to return soon!